Stop whatever you are doing, and click through to see some of the most adorable and unique toys and children’s decor. You’ll never guess where they hail from (but you’ll be ever-so-grateful you can find them in Australia). Do you have any idea what the Portuguese word for soft, cute and cuddly is? No, neither did I, but apparently it’s “fofo”. Hence the title of new Australian online store So Fofo – which is the local distributor for amazing Portuguese label PinkNounou. This gorgeous label is positively heaving with amazing products for kids and parents. 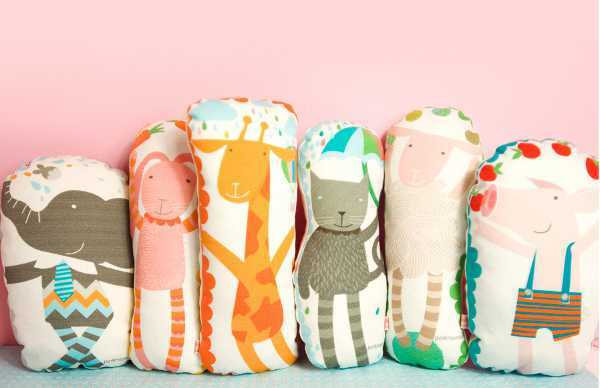 Soft toys, pillows, baby blankets, wall decor – the list literally goes on and on. And So Fofo has a great selection of what this label has on offer. 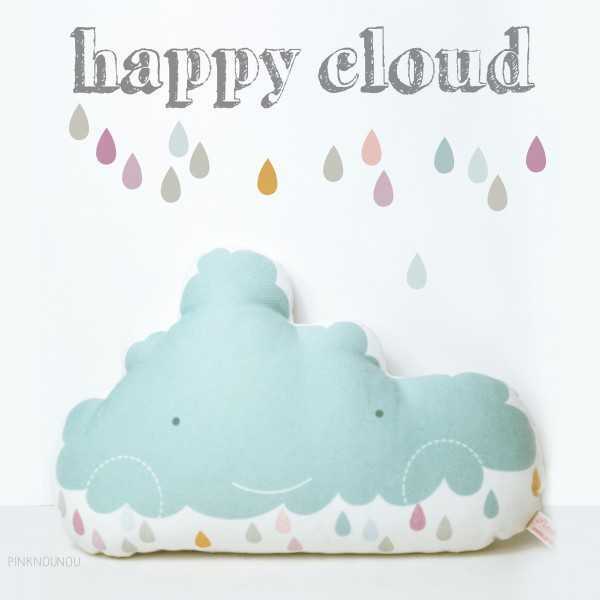 For babies there’s a beautiful range of soft furnishings and toys, including this adorable Happy Cloud pillow, which is $40. The cotton bibs are so clever and lovely, I’d just hate to see them get smeared with pureed pumpkin! 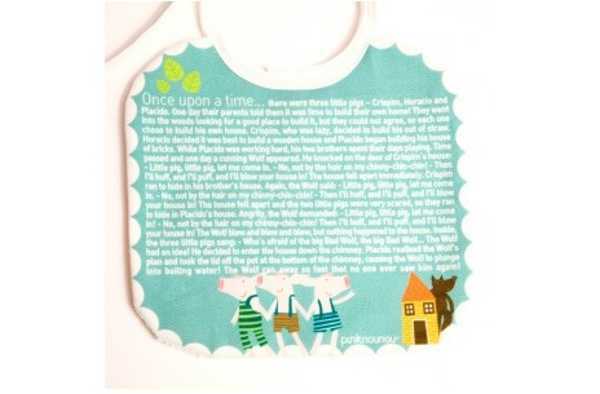 They each have a charming printed fairy tale to read while baby’s munching away – what a great idea. They cost $22. The softies are also a great nursery decorating item, and look just gorgeous with their very rustic charm. They start at $36 each. Likewise, the paper cut out illustrations would work beautifully in a nursery or child’s room. They cost $18. 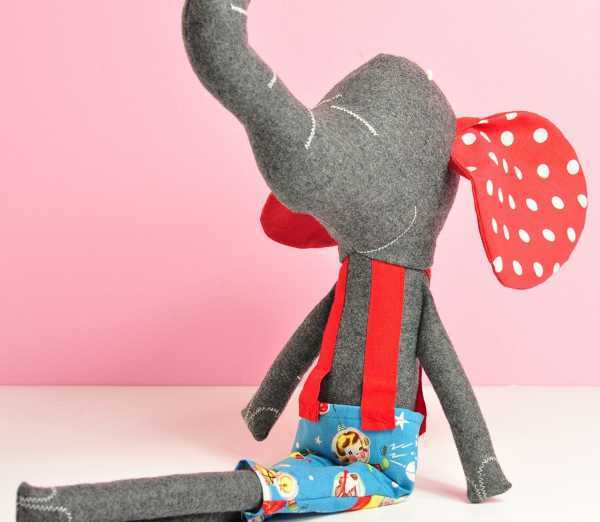 Finally, there are some very special soft toys available for purchase from So Fofo, including the sublime Ludovico the elephant. He’s an impressive forty-seven centimetres tall and made of felted wool, cotton and linen. He costs $150. 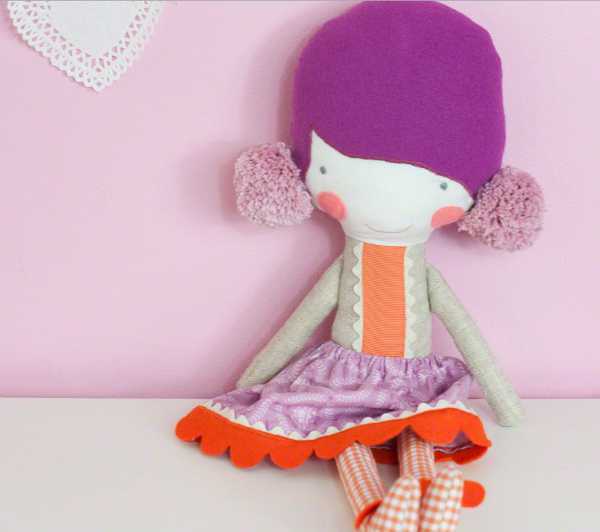 Shop the collection at So Fofo, or take a look at the other stockists of PinkNounou.